After the romantic proposal on their rooftop, the reality of moving in together seems to hit Cat and Vincent pretty hard. Every time Catherine questions whether one of Vincent’s possessions will fit into her life, he beasts out just a little bit. 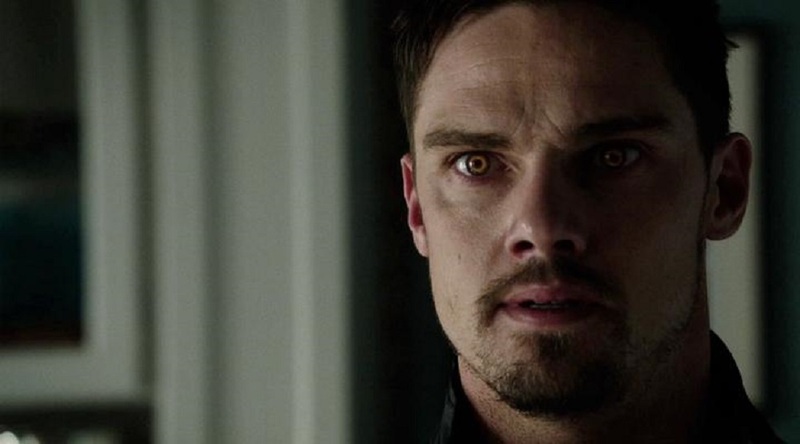 It is freaking him out enough to go to JT who assures him that it must be normal commitment jitters that just happen to manifest themselves in Vincent’s special beastly way. JT has his own worries; he is about to meet Tess’ brothers at a shooting range birthday party and he doesn’t feel very confident. Tess assures him that all she needs from him is for him to be himself, but JT is not so sure. He is still questioning where he fits in and while he is working on synthesizing the healing serum he was given, he actually wonders whether the substance could have some unintended side effects and given him some special powers of his own. When JT stands up for Tess against her jerk of a brother and ends up hitting a perfect bulls eye trifecta, I think we all wondered about that just a little; after cheering loudly of course. Tess is convinced that it was all JT who came to her defense. She believes that he doesn’t need some serum to be a hero. It is lovely to see these two support each other and Austin Basis and Nina Lisandrello once again demonstrate why this pair is a fan favorite. Cat is a little unsettled herself. Getting engaged and moving in together is a big change, and even though everyone sees her relationship with Vincent as a fairytale, she wonders what will happen when fantasy and reality collide, “Fighting beasts and bad guys is one thing”, she exclaims at one point, “This normal stuff is hard.” She decides to focus on the task at hand and breaks into Agent Thomas’ office to get some answers about the new beast experiments. The DHS agent (Arnold Pinnock) is still in a coma and can’t supply any information himself. She stumbles upon the name of the courier who supplied the serum that saved JT, but Catherine is not the only one looking for answers. Hot on her heels is the beast of the week; the excellent Zach Appelman as Alton Finn. Alton has a tumor in his brain that allows him to access parts usually left untouched. The special powers that gives him include downloading hard drives with a thought, killing people with electricity and blowing up light fixtures with his mind. Alton wants the new dose of serum that JT was able to create using his own blood and he won’t hesitate to kill to get it. JT tries to convince Alton that it may not be the cure he thinks it is and that it would be put to better use on Agent Thomas, since healing him may give them all the answers they are looking for. In the end, with JT’s life in the balance, Vincent has no choice but to go beast to beast against Alton, risking his humanity once again. This time Cat, the beast whisperer, is able to talk both Vincent and Alton down from their respective ledges by convincing both of them how much they would lose if they fully gave in to their primal natures. Being able to bring Alton to their side and giving him a chance at a real cure seems to me a smart and less violent way to combat the new threat to our friends and their world and I hope it is a trend that will continue, since it has real potential as a story arc. I found it really interesting how this episode, although filled with delightfully comedic moments, underneath it all earnestly focused on how much the question of identity and acceptance plays a role in the stories of our heroes and even the side characters of Beauty and the Beast. Vincent battles the primal nature of his beast side constantly and with the emergence of these newly created monsters, we are once again reminded that his state of being was forced upon him and his fellow beasts. JT is struggling to understand where he fits in and now his very nature may have been compromised by the serum that saved his life. In all the turmoil, Tess manages to find herself again and decides that she may be the Captain the damaged police precinct needs. And Cat must once again decide to make room in her life for the man she loves, beast and all. They may have a destiny that will play itself out, no matter what, but Vincent and Cat have to be more to each other than beast and the beauty who keeps him human. Vincent, Cat, JT and Tess have to not only find their own place and role in the story, they have to find room and acceptance for each other as well. So far season three is on a roll. 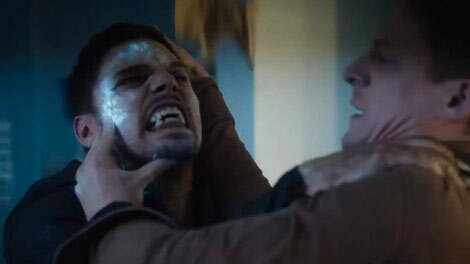 Jay Ryan once again had the opportunity to show how well he does comedy and Austin Basis allowed us an intriguing glimpse at what looks to be an exciting story arc for JT. What could Agent Thomas have meant when he warned Vincent to be careful of his friend? I also always love when Vincent gets to show off his smarts and JT gets to bust out some brawn. 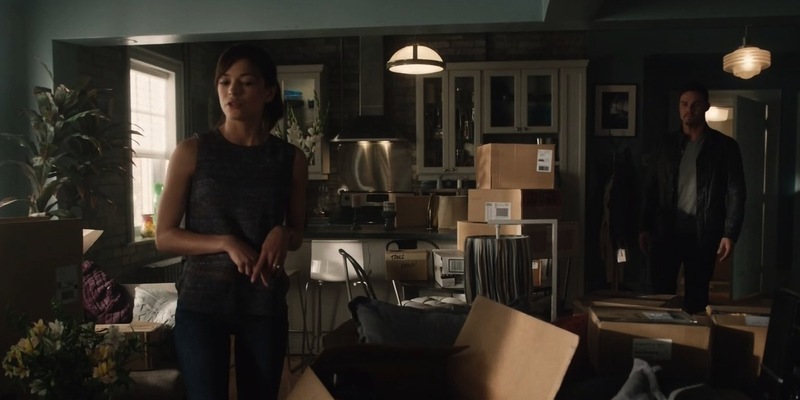 It was nice to have Heather (Nicole Gale Anderson) back again, acting as a perfect comedy foil and I hope we get to see more of Tess’ brothers in a future episode. I am glad that everyone is talking to each other and our fearless foursome is still on the same page, because if this episode proved anything once again, it’s that they are so much better off together. What do you think Beasties? Could JT be a beast himself? Will we see Vincent and Cat get married soon? Who is behind these new experiments? And will Tess become the new Captain? As always, we want to hear your thoughts.